Mike (River Phoenix) has narcolepsy, and whenever he feels super-stressed he suffers what I interpret to be attacks of cataplexy, that is, sleep triggered by heightened emotions. His friend, would-be lover and fellow male prostitute, Scott (Keanu Reeves), has a rich dad who's going to leave him a hefty sum when he turns 21. These two characters are the main focus of "My Own Private Idaho" which deals with common and uncommon themes, such as home, sexual identity and love. Van Sant throws in some Shakespearean language plagiarised straight from Henry IV and a non-linear narrative and you've got one very cute surrealist indie film. 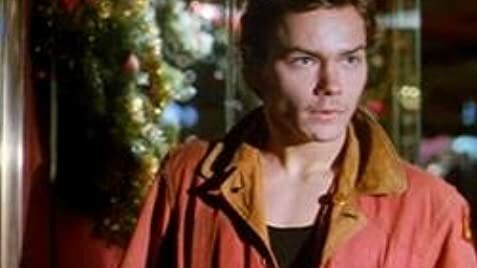 The credits to this film are it's director and star, River Phoenix, whose understated and moving performance lifts this film above the trash it easily could've been in another director or actor's hands. Van Sant uses symbols to represent emotional states and his use of special effects is limited and effective. There is some really heartfelt dialogue in this movie, especially the much-mentioned camp-fire scene. This film can be irritating; sometimes the Shakespearean dialogue doesn't work (and it's okay to admit that a near-perfect film like this has flaws) and Reeves is sometimes a little stiff. The film is mostly redeemed by its bitter-sweet ending and fun opening titles. Gus Van Sant was very pleased that his movie was being produced, and would be distributed by New Line Cinema, a major studio. He wanted the movie to have a wide release and "play in shopping malls." Just after production, New Line created Fine Line Features, its special "art house" label. This resulted in the movie having a very limited number of prints struck, and only playing in select art house theaters. Van Sant says he might as well have made the movie independently. Bob Pigeon: I'm afraid if I shared your wine, I might catch this awful disease you appear to have. My jacket would grow little zippers all over it and my toes would have jingle bells on them like those there. When Mike is in Idaho he has a clear view of Mt. Hood. Not only is the mountain too far away to see (over 200 miles), there is another mountain range lying between Idaho and Mt. Hood, blocking the view.